Randy Holden is an American guitarist best known for his involvement with The Other Half and the West Coast blues-rock group Blue Cheer on their third album 'New! Improved!' (1969). Holden obtained a sponsorship deal with Sunn amplifiers. Through this, he received his legendary sixteen 200 Watt amplifiers. 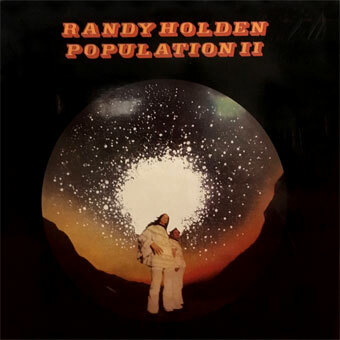 His new band was dubbed Randy Holden - Population II which was a reference to the fact there were only two members in the band as well as being an astronomical term 'Population II' that defines a special kind of Star Group cluster type, having heavy metal in its composition. An appropriate description of the original style of the music attributed to Holden's new band. The band recorded its only album, 'Population II' in 1970. The album has become a much-sought-after collectors' item over the years. Το προϊόν αυτο προστέθηκε στον κατάλογό μας την Wednesday 06 March, 2019.